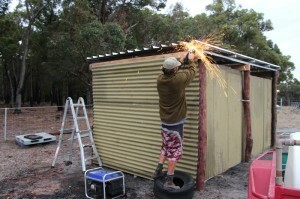 Brad was out at first light just after 6.30am putting the finishing touches to the Goat Mahal. He put up the gutter and positioned the rainwater drum and trough. 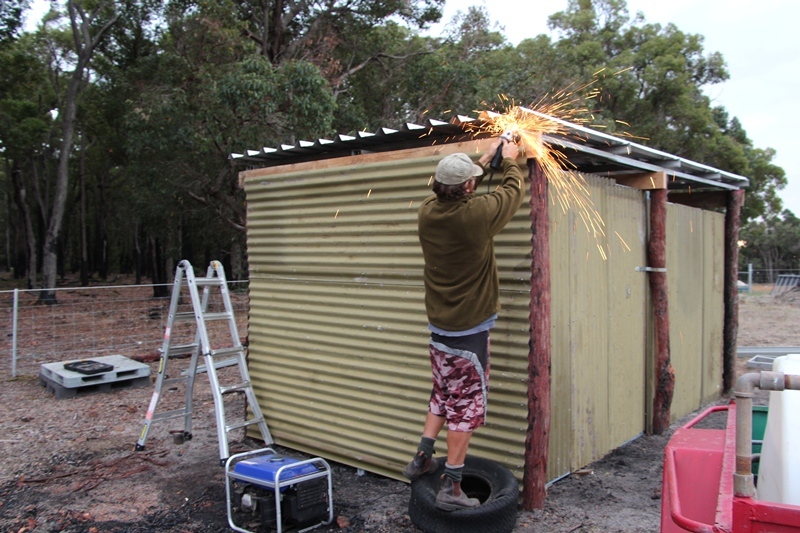 We got some second hand tin from neighbour Steve for cladding the walls which we put up on Sunday afternoon. By cutting most panels at 2.15m (2 per sheet) were able to get whole shed done with only 10 sheets. We installed the solar panel and battery for the electric fencing on Saturday, so we are now goat ready.